"The bible of American politics." The 2020 Almanac of American Politics remains the gold standard of accessible political information, relied on by everyone involved, invested or interested in politics in America. Highly regarded for its in-depth analysis and comprehensive profiles of every congressional district, state, governor and member of Congress, The Almanac is the tool you need to better understand the context of the people and perspectives shaping the issues that matter to you. In-depth profiles of every governor, Senator, and House member. 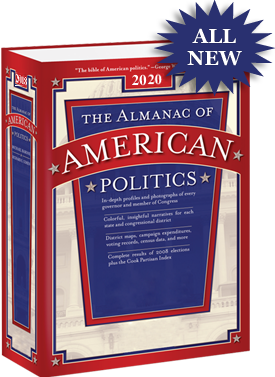 As in previous editions, the 2020 Almanac includes profiles of every member of Congress and every governor; in-depth and completely up-to-date narrative profiles of all 50 states and 435 House districts — covering everything from economics to history to, of course, politics. Profiles of Donald Trump and Mike Pence by Michael Barone. Essential reference and contact information. Updated demographic information for every state and district, including information from the Census Bureau’s American Community Survey, with new categories of economic, occupational, social and geographic data. Analysis of the 2018 elections for Senate, House and governor races, and how those results shape the public policy debates in Congress and the nation. A breakdown of the votes cast for President in 2016 for all states and districts, including primaries. Campaign finance data for all Senators and House members—plus their challengers--in the most recent election, including all-new listings of the “outside money” spent in those contests. Analysis of voter turnout in each state and congressional district for the 2016 presidential elections. More than 60 state and congressional district maps, the key votes cast by members of the House and Senate, interest group ratings, and more. PLUS, for all orders of the 2020 Almanac, purchasers will immediately receive—at no additional cost--a digital set of the Almanac’s profiles of all 93 House freshmen. These are the most complete bios available anywhere. Rich Cohen, Chief Author, was co-author of The Almanac of American Politics from 2001 through 2010. Rich has written about Congress for National Journal, Politico and Congressional Quarterly. Rich is the author of several books, including Washington at Work: Back Rooms and Clean Air, a case study of the 1990 Clean Air Act, and Rostenkowski: The Pursuit of Power and the End of the Old Politics. Rich recently co-authored The Partisan Divide, with former Reps. Tom Davis of Virginia and Martin Frost of Texas. In 1990 Rich won the prestigious Everett McKinley Dirksen Award for distinguished reporting on Congress. Charlie Cook, Co-Author, is the Editor and Publisher of The Cook Political Report, a political analyst for the National Journal Group, and an analyst for NBC News. Charlie has appeared on the ABC World News Tonight, the CBS Evening News and the NBC Nightly News, on ABC’s This Week and for over a dozen times since the 1990’s on NBC’s Meet the Press. Over the years, Charlie has served as an Election Night analyst for CBS, CNN, and since 1996 on NBC News Election Night Decision Desk in New York. In 2010, Charlie was the co-recipient of the American Political Science Association’s prestigious Carey McWilliams award to honor “a major journalistic contribution to our understanding of politics.” In 2013, Charlie served as a Resident Fellow at the Institute of Politics at Harvard’s Kennedy School of Government. Michael Barone, Senior Contributing Author, is Senior Political Analyst for the Washington Examiner and a Resident Fellow at the American Enterprise Institute. He is a contributor to Fox News Channel and co-author of The Almanac of American Politics 1972-2016. He is also the author of Our Country: The Shaping of America from Roosevelt to Reagan, The New Americans: How the Melting Pot Can Work Again, and many other publications in the United States and several other countries. Mr. Barone received the Bradley Prize from the Lynde and Harry Bradley Foundation in 2010, the Barbara Olsen Award from The American Spectator in 2006 and the Carey McWilliams Award from the American Political Science Association in 1992. Louis Jacobson, Senior Author, is the Senior Correspondent for PolitiFact. Since 2002, Louis has handicapped political races, including races for Congress, governor, state legislature, other state offices, and the electoral college, currently for Governing magazine. Louis has served as deputy editor of Roll Call and as the founding editor of its legislative wire service, CongressNow. Earlier, Louis spent more than a decade as a reporter covering Congress, politics and lobbying for National Journal. Louis Peck, Senior Author, is politics editor for Bethesda magazine and a co-founder of Maryland Matters, which provides online coverage of politics and government in that state. 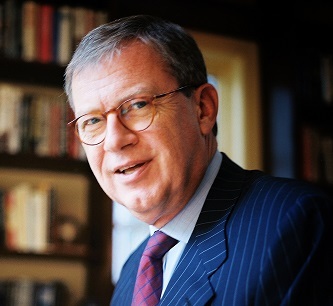 Since 1978, Louis has been a Washington-based journalist who has written extensively on Congress and national politics. 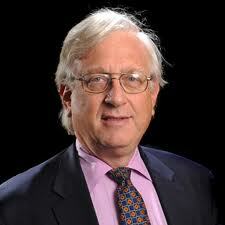 For nearly two decades, he was editor-in-chief of National Journal’s CongressDaily. Earlier, Louis was editor of Campaigns and Elections magazine and a national political correspondent for the Washington bureau of Gannett newspapers, as well as collaborating on two books on campaign finance reform with the late Professor Herbert Alexander of the University of Southern California. 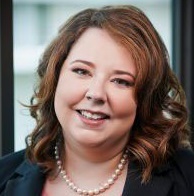 Abby Livingston, contributing author, joined the Tribune in 2014 as the publication's first Washington Bureau Chief. In this role, she won the 2017 National Press Club Award for Washington Regional Reporting. Previously, she covered political campaigns, House leadership and Congress for Roll Call, the Capitol Hill newspaper. A seventh-generation Texan, Abby graduated from the University of Texas at Austin. She grew up in Fort Worth and has appeared in an episode of "The Bold and The Beautiful." Abby pitched and produced political segments for CNN and worked as an editor for The Hotline, National Journal's campaign tipsheet. Abby began her journalism career as a desk assistant at NBC News in Washington, working her way up to the political unit, where she researched stories for Nightly News, the Today Show and Meet the Press. In keeping with the Trib's great history of hiring softball stars, Abby is a three-time MVP (the most in game history -Ed.) for The Bad News Babes, the women's press softball team that takes on female members of Congress in the annual Congressional Women's Softball breast cancer charity game. Jessica Taylor, contributing author, is a political reporter for NPR and a senior contributor to the Cook Political Report. For more than 12 years, she has reported on and analyzed House and Senate elections. Jessica was previously campaign editor for The Hill and has reported for the NBC News Political Unit, Inside Elections, National Journal, The Hotline and Politico. On Election Night 2012, Jessica served as an off-air analyst for CBS News and has appeared on MSNBC, Fox News, C-SPAN and CNN. Jessica was an intern on the 2008 Almanac of American Politics and later served as Research Director for the 2010 edition. Cameron Joseph has covered Capitol Hill, the White House and the permanent campaign for the past decade, beginning with his work on the 2010 Almanac of American Politics. He is Talking Points Memo's senior political correspondent. Previous publications include the New York Daily News, Mashable, The Hill and National Journal. He grew up near Chicago and can't quit the Cubs. You can follow him at @cam_joseph on Twitter. For questions about purchasing previous editions of the Almanac or Almanac data, please contact Matt Barnes at mbarnes@columbiabooks.com or 240-235-0277. The e-book will be available to download on Kindle, Nook, iPad, and computer. 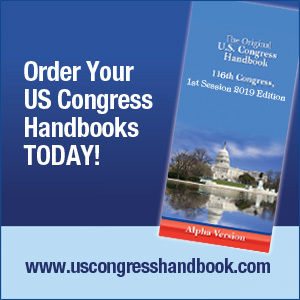 Add the U.S. Congress Handbook to Your Political Reference Collection! 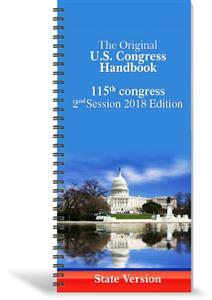 With the Congress Handbook you'll have detailed Member profiles including biographies, committee assignments, and contact information. This compact guide is perfect for keeping with you on the go.